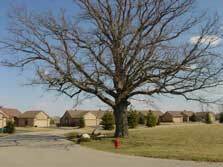 Enjoy being located in the heart of the exclusive Stonebridge Golf Course development in a wonderful cul-de-sac location dominated by the "Lone Oak". Enjoy the space and privacy that this small community provides in a great location, just minutes from freeway access, local shops & restaurants, and downtown Ann Arbor. Just click below for details of recent sales or available units at the Lone Oak at Stonebridge development.